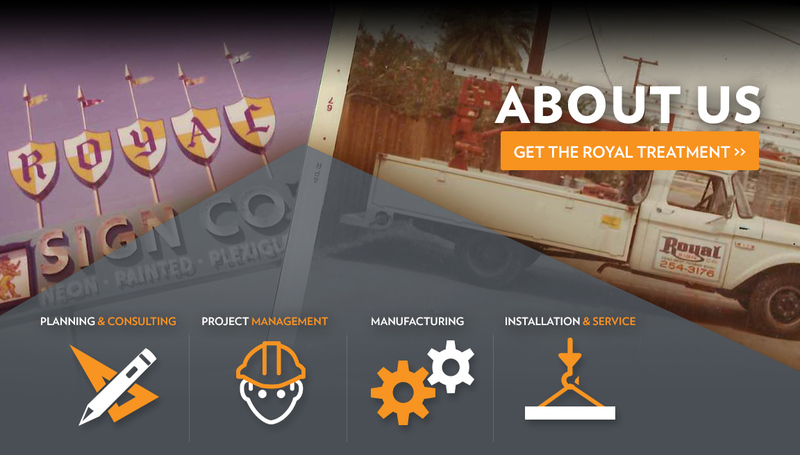 Since its beginning more than 50 years ago, Royal Sign has been in the careful care of family hands. Our family is now in its 3rd generation, maintaining the same core values that established our business. The source of Royal’s longevity and success is a simple, uncompromising commitment to the highest quality product and customer satisfaction. We take pride in making sure that every customer has an enjoyable and rewarding experience with Royal Sign.